i'm Blathering Now... (Tea, Tom & No Time to Blog! ): Super Naturally Good Tales! Winter is the perfect opportunity for catching up on your reading list, especially Christmas when it is dark outside, and inside Christmas lights and flickering candles create the perfect ambience for a ghostly tale. 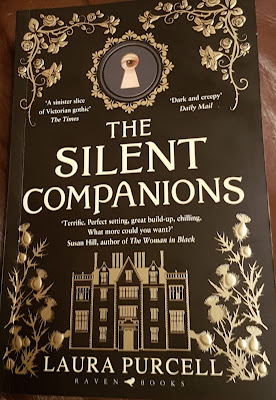 Whilst M R James and Sheridan Le Fanu are my usual Christmas go-to authors, it’s nice when unexpected delights fall into the Christmas reading pile. Here are four thumping good reads to pass the dreary nights of winter with. Now fans of Tom Burke will know that the author Arthur Calder-Marshall is Tom’s maternal grandfather, I’ve been interested to read some of his work for a while, so I was delighted when I came across a couple of second-hand books written by him. 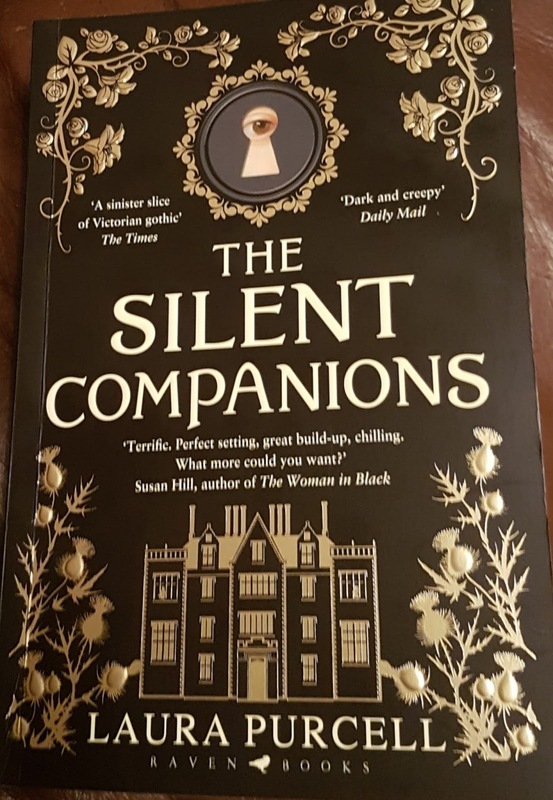 If you love a good haunted house tale, then this first story is certainly a book for you, it is suitably eerie and will give you the required goose bumps when reading! The tale is narrated by George Grantley. He receives a letter from his friend Sir Christopher “Kit” Everness in 1959, proclaiming it was time for the Everness family to settle down, and would George assist them in finding their dream home. The family specify that the house has to be in Wilchester, close to a day school as their daughter, Rosa, hates the boarding school she goes to, and be a large, run down property with a garden that they can make their own. George agrees to the task and learns that Anglesey House is up for sale and he thinks it would be perfect. George remembers the property from when he was a child, playing with his friend Charles Scarlet. Although they were friends, George remembered that Charles was a wilful and vicious child, wanting to play games involving torture. It was as though Charles was possessed by the spirit of someone else. He had a tree house in the garden and whilst still a child he fell and broke his neck. George had always been fond of Charles’s mother as she was “beautiful and gracious” unlike his own mother, so he continued to visit the house even after Charles’s suicide. Whilst on the surface the book is an eerie ghostly tale, there are underlying layers about family relationships, people’s faith, beliefs and the paranormal. After the family have settled in, Rosa is overheard talking to Charles and another child who had taken his life a long, long time ago, and when Rosa disappears, a struggle needs to be fought between the forces of good and evil. 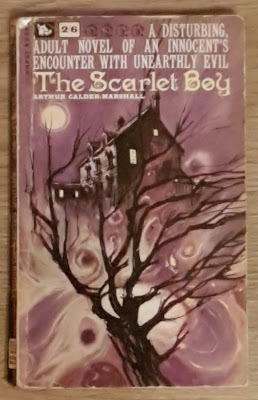 There were elements of Henry James’s “The Turn of the Screw” in Arthur Calder-Marshall’s tale, and in this next book, the encounters to be had are as equally disturbing as those in the James novel, mixed up with a bit of The Woman in Black! When Elsie married Rupert Bainbridge, she could not foresee that within a few weeks of marriage, her husband would be dead, and she would be sent to his country estate to lay him to rest, and to wait out her pregnancy. Set in Victorian England, Elsie’s journey sees her leaving her London home at a matchstick factory to take an eventful carriage ride to “The Bridge” through foggy, muddy, countryside. Much to her horror, Elsie realises that her late husband’s country pile is a crumbling estate, and the villagers show open hostility towards her. Her arrival at the house is no better as the servants appear irritated by her intrusion into their daily lives. Rupert’s coffin lies at The Bridge, pending his burial at the local church, and with only his cousin for company, Elsie sets out to discover the secrets of the property she must spend her confinement in. Inside the house is a locked door to which there is no key. She asks the housekeeper to obtain a copy and one day she sees the door open. Thinking the doorkeeper has unlocked the door, Elsie discovers a room with a painted wooden figure in it. The creepy thing is, the key has not yet arrived, and now the wooden figure has been removed from the room, the door is now locked again, and this Silent Companion looks remarkable like Elsie herself! Everyone at The Bridge is terrified of the figure, although Elsie laughs off all the rumours as idle superstition – it is only a wooden figurine after all, but then she notice’s the eyes keep following her, and as each day passes, new Silent Companions arrive. As the book flicks back and forth between Elsie’s residence at St Joseph’s Hospital and her memories of The Bridge, you are unnerved yet compelled to keep reading. "I trust people and they abuse that trust." It is an atmospheric page turner, full of spine-tingling revelations as you become more and more engrossed with the intense horror of how vivid and complex the human mind can be. Silent Companions, or Dummy Boards, were life-sized, flat, wooden boards, painted Tromp l’oeil style to resemble figures. They were highly popular in the 18th and 19th centuries, especially in England and The Netherlands. They were often placed in the corner of rooms, or on staircases, to surprise visitors to the grand houses. It is also thought that during the summer months when the occupants were away, they would be placed strategically around the house to protect the house and keep thieves at bay. Dummy boards showed all aspects of life, from servants to noblemen and even the family dog! Back to Tom’s grandfather! The Magic of My Youth is an altogether different novel from The Scarlet Boy. Autobiographical, it tells the tale of when Arthur met the legendary Aleister Crowley, the self-styled “Beast of the Apocalypse” and magician of black magic. The foreword of the book states how Arthur never intended to write the novel, but that following a day of making notes in an exercise book, twenty-five years after the meetings with The Beast had taken place, memories were surfacing, and as they flowed, a book was taking shape. “Lengthy conversations are not remembered verbatim over a quarter of a century” but what follows is a book full of recollections of meeting a man who has been described as the most evil man on earth. 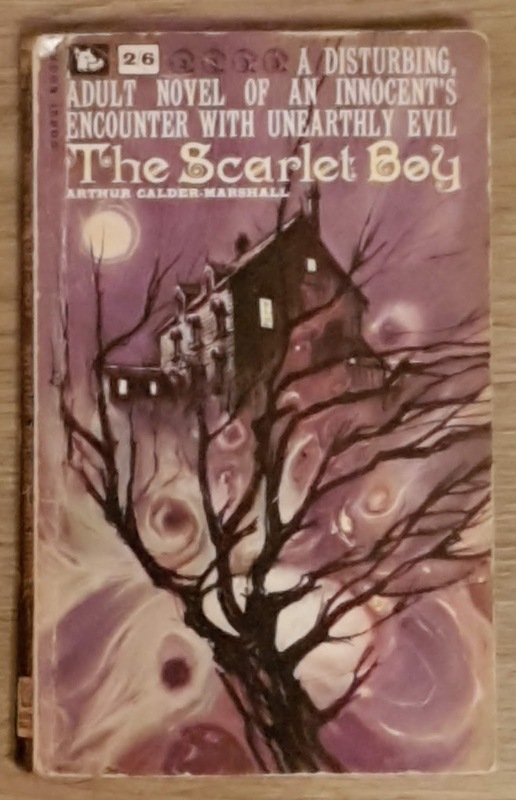 Arthur Calder-Marshall was interested in both the occult and Crowley during his years of adolescence, a time when young people try to find out who they really are. His brother would relay tales to Arthur that he had heard from a wife whose husband had been sacrificed by Crowley in the Abbey of Thelema and Vickybird, an eccentric poet who claimed he had been turned into a zebra whilst in the middle of the Sahara! With tales such as these, who wouldn’t be interested in Aleister Crowley?! Set in the glittering 1920’s, a period “when to be ‘earnest’ was to be unfashionable” Calder-Marshall had the idea of hosting Black Masses in his rooms at Oxford and inviting Crowley to give a poetry reading…it was this invitation that would open the door to his meetings with Crowley. Unlike Crowley, Calder-Marshall had a great aptitude for writing. His curiosity about magic in a time when Bloomsbury was filled with writers and artists partying and drinking their nights away is captured in these pages; as a young man battles with his beliefs, knowing at the end of it all, all he really wants to do is write! I first “met” Aleister Crowley in another of Jake Arnott’s books, The House of Rumour. I had seen a photograph of Tom Burke carrying the book, and being of an inquisitive nature, I bought a copy! I loved the juxtaposition of real-life people and events being worked into a piece of fiction, and after buying Arnott's book The Fatal Tree on pre-order, I made it my mission to keep an eye out at second hand book stores for some of his earlier works. The Devil’s Paintbrush has been patiently waiting for me to find the “right time” to be read! Major General Sir Hector MacDonald (Fighting Mac) was a distinguished Victorian soldier. Born in 1843, the son of a crofter, he joined the Gordon Highlanders regiment and worked his way through the army ranks until he became Major General. Many in the army looked down on this working-class boy, who achieved everything he did on merit, rather than pedigree. He was a master tactician and was credited with saving hundreds of British soldiers lives in 1898 in North Africa and was rewarded with a knighthood. He was the people’s hero, especially back home in Edinburgh. In 1903 he was sent to Ceylon to instil discipline into the army. He was disliked by those around him, and rumours circulated about his sexuality. If he was gay, he would be outed and thrown out of the army; don’t forget this was a period when homosexuality was a criminal offence, and the punishment was harsh, as seen in the trial of Oscar Wilde in 1895. MacDonald was sent back to Britain following allegations of “dubious acts,” however, he was sent back to Ceylon almost straight away to face a court martial. 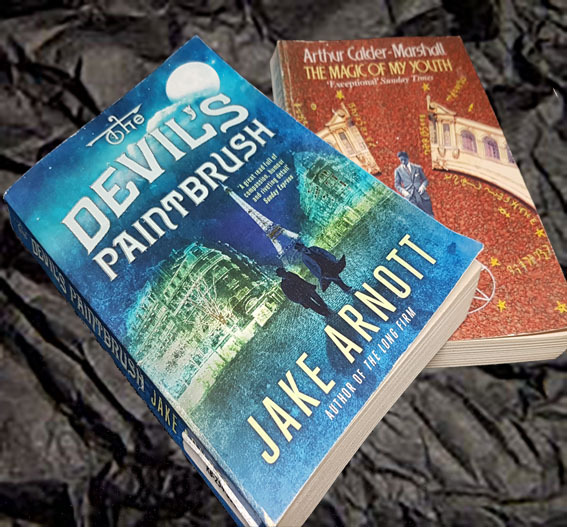 He travelled to Ceylon via Paris, The Devil’s Paintbrush takes up the true story of his encounter with Aleister Crowley; all be it an elaborate retelling of Fighting Mac’s one night in Paris! In Le Chat Blanc, a Parisienne restaurant, Aleister Crowley (occultist) meets Sir Hector (British hero) and this unlikely duo transport the reader back to the battlefields of Sudan, and the backstreets of Edinburgh where Sir Hector met the young Christine Duncan. It is a beautifully written book knitting together fact and fiction, taking a historical figure that has long been forgotten and giving him a voice to air his story. Arnott develops a picture of not only the General but also Crowley himself; two very complex and different personalities. The predicament MacDonald finds himself in is examined with compassion, whilst the depraved drive of Crowley is explored without moralising. Arnott shows that being inherently good can be just as debilitating as being evil. As readers we’re not asked to take sides, but to consider the full picture of two flamboyant characters as Fighting Mac’s tragic secret leads the book to its poignant ending. I thoroughly enjoyed reading these four texts, and my theme of supernatural readings is set to continue with The Man Who Sees Ghosts by Friedrich von Schiller. Having read a number of Schiller's plays in anticipation of Tom performing in Don Carlos last year, I'm interested to read Schiller's only novel...especially as it set in Venice, one of my favourite haunts! !